The Overrating of Rand Paul 2016. But I vividly remember a moment from that interview, and how it revealed something about Paul that pundits don’t cover unless they’re forced to. At the end of a short and friendly interview, I asked Paul whether the darker associations of Ron Paul, his father, could be used against him. If Republicans were looking to tar him, couldn’t they bring up the racist newsletters published under Ron’s name, or the donations from white supremacists that Paul never solicited but declined to give back? It was like an arctic blast came through my receiver. I don’t see how anyone could think that, Rand Paul said. That has nothing to do with this campaign. In the short term, absolutely, Paul was right. He ran a brilliant primary campaign and a steady general election campaign, in exactly the right year. He only stumbled in a post-victory appearance on Rachel Maddow’s show, in which the host socratically wore Paul down on whether he’d have backed the Civil Rights Act. Paul never forgave Maddow for that interview, and for years since then he’s attacked the “mischaracterizations” inspired by it. These were isolated events in the rise of Rand Paul. Like his father, Paul is a happy mystery for the mainstream media—a libertarian who allies with the left on a few important, newsy topics. As long as he’s in the Senate, there’s little interest in taking him down over some old nasty associations. The same was true with his father—in the 2008 and 2012 campaigns, the media only remembered that Paul’s name appeared on racist newsletters when the candidate 1) broke fundraising records and 2) drew close to winning the Iowa caucuses. Ron Paul grew so irritated at newsletter questions that he curtly ended a CNN interview, removing his mic while the cameras rolled. Here’s my point. 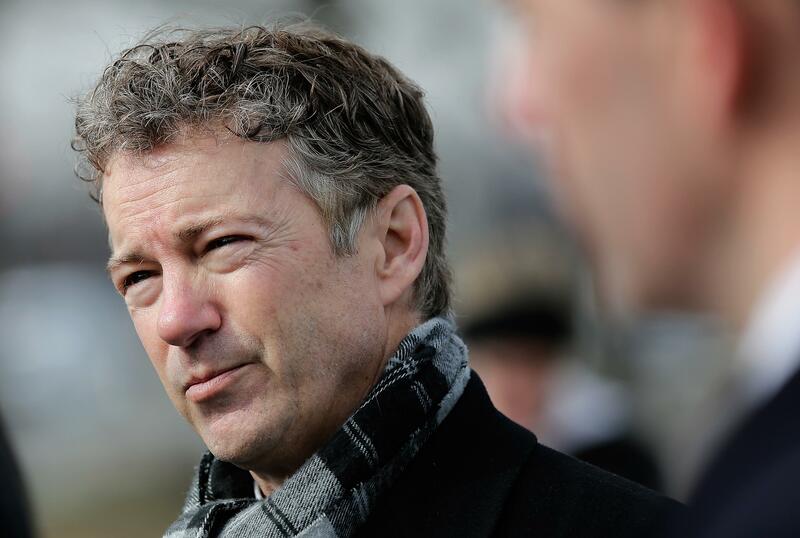 As long as Paul’s in the Senate, as long as he’s a fascinating, quotable, and potentially successful libertarian iconoclast, stories about his associations and his movement will be relegated to the think-piece pile. If he’s a credible presidential candidate? The jackals run loose, and they know where to hunt. Years of experience and evidence tell us that Paul can be rattled by that. His potential opponents know this. True. But the Clintons have put up with decades of reporting and embarrassment about their pasts. When Paul’s received the same treatment, it hasn’t gone very well.